Leaving a job can bring about stress for you and your employer if not done properly. To lessen the stress, you can write a resignation letter. It does not have to tell all the details about your reasons for leaving. A simple apology for the inconvenience it might cause and a time frame up until your proposed end date will suffice. 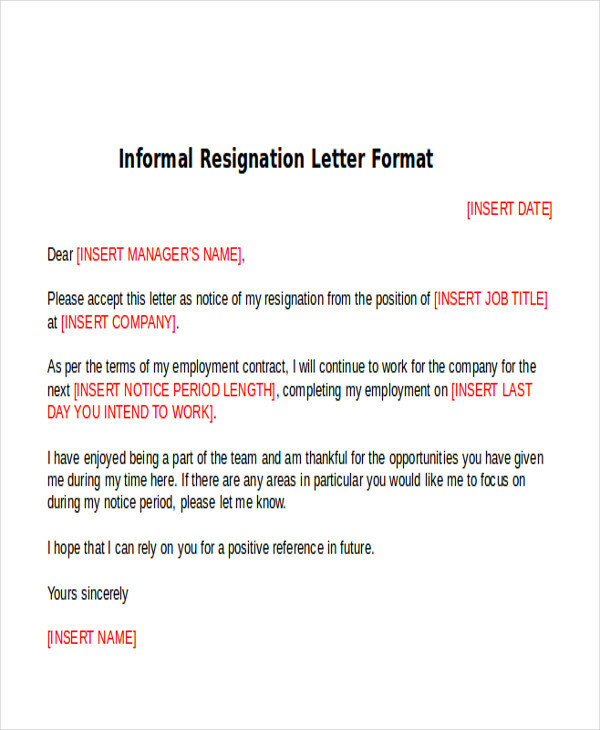 Here, we give you six Sample Letters that you can use to write an informal resignation letter should you be planning on leaving your job sooner or later. Browse through all of the samples that we have and pick the one that you deem matches your current situation. 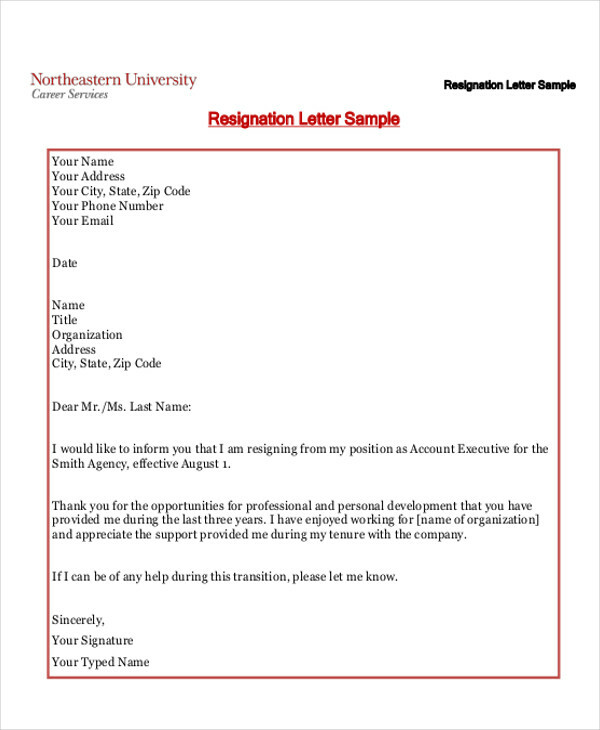 A resignation letter serves as a tool to tell your employer that you’re going to be leaving your post soon. A resignation letter will help you keep a positive relationship with your soon-to-be former employer. It can help you move on properly and leave a good impression on you once you leave the firm/organization. It also helps to make the process of resignation both for you and your employer smoother and more organized. 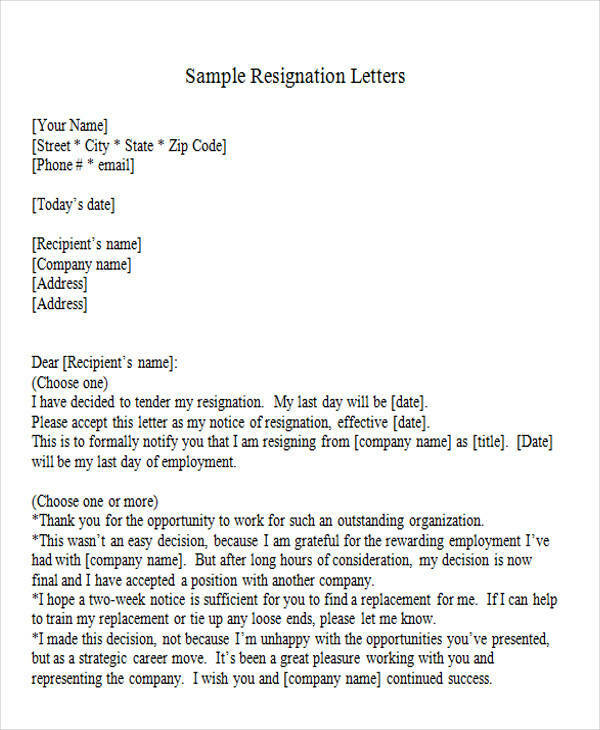 How Does a Resignation Letter Look Like? It always starts with the date when you wrote your letter. Personal details should also be included in your letterhead. This includes your contact number and email address. Address your employer properly. Make sure you spell his/her name correctly. 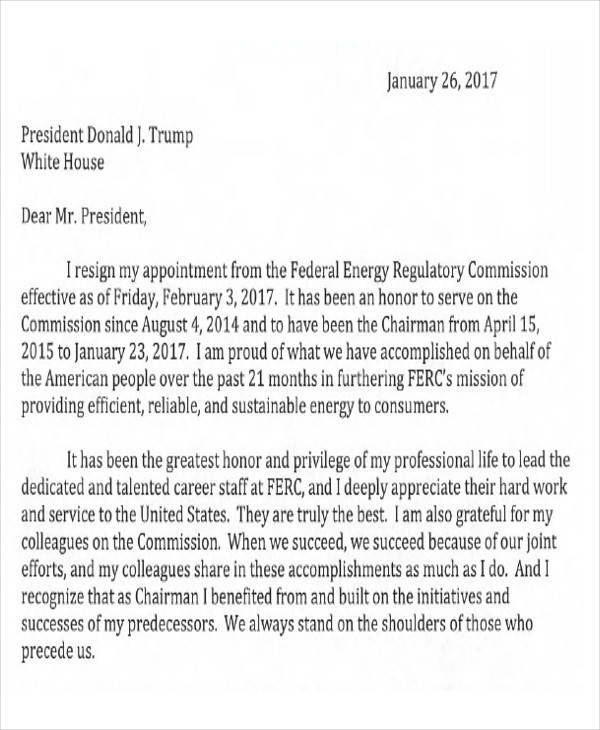 The first paragraph of your resignation letter should directly let your employer know that you will be resigning. It should also mention the date when you will end your employment with them. A reason may or may not be included in the letter. Express your gratitude to your soon-to-be former employer and let them know that you are thankful for the opportunity that was given to you. End your letter on a positive note and let them know that you are more than willing enough to offer some help during the transition period. Make sure you remove all of your belongings from your desk or locker. All the files from your office computer should also be in order. Keep on being productive even in your last few days. Never leave unfinished work. Make sure you complete all the necessary work you have to do before your end date. Keep in touch with all of your colleagues to ensure that your network will continue being solid and strong. If you have been accepted to a new job, never brag about it even if it is considered to be better than your previous job. Talk to HR about the details of the benefits and the salary that you will be receiving once you leave. 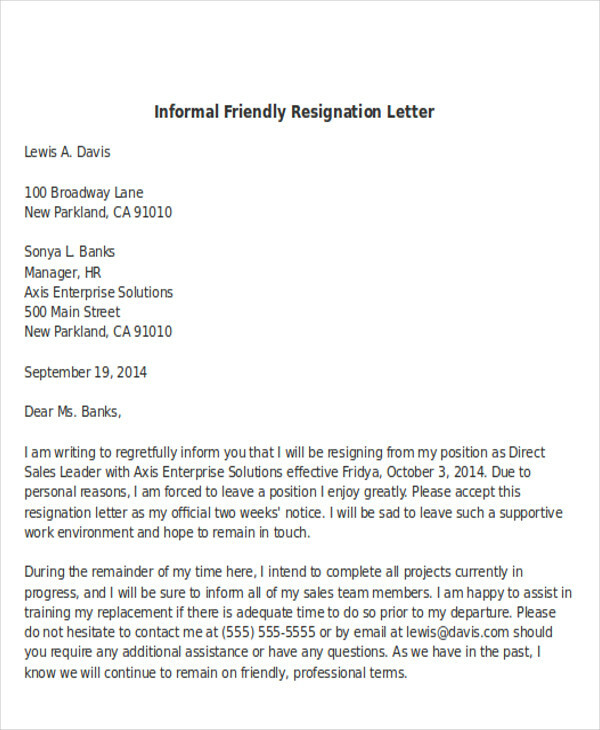 There is a wide assortment of Job Resignation Letters in this article you can choose from. These will fill in as your guide for when you are composing your own particular resignation letter. All of the examples we have can be downloaded for free and you can change or alter them as per your particulars before you choose to print them or send them as an email to your manager. Good luck on your resignation and your future career!